1. 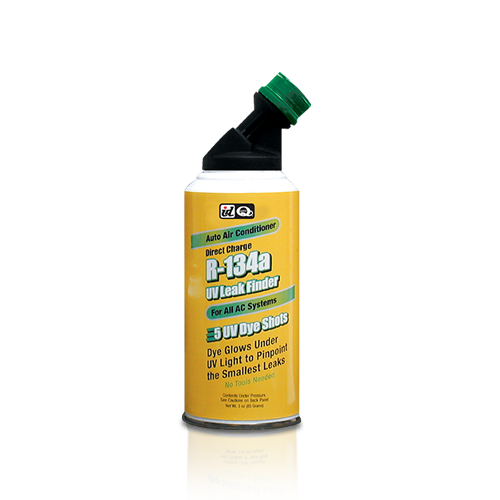 Dispense dye into Low-Pressure A/C PO-RT of the A/C system. It usually has a blue or black dust cap and is located on the larger-diameter tubing that runs between the evaporator (in the dashboard) and the compressor (on the engine). Unscrew dust cap. Shake the can well. Hold the can upside down and push the Direct Charge fitting onto the low-pressure port for three seconds (one shot), then remove from port. 2. Run A/C and Engine approximately ten minutes (in a well-ventilated area) or drive five miles. 3. 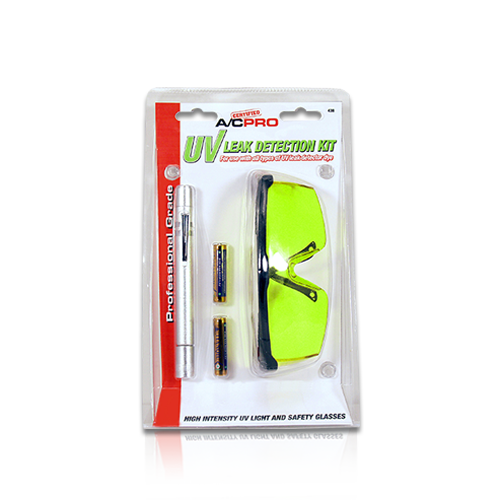 Stop Engine and check for leaks using a UV light.